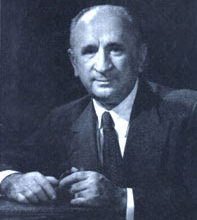 The Sándor Radó Lectureship was initiated in 1957 shortly befor Dr. Radó’s retirement to commemorate his seminar of 16 two-hour lectures on advanced psychoanalytic technique he gave to the senior class in 1956. The Sándor Radó Lecture is given each year in the Spring at the Academy of Medicine in New York City and is funded jointly by the APM and the Columbia University Psychoanalytic Center to honor the memory of Dr. Radó, the first Director of the Center. The lecture carries a $500 honorarium and expenses. 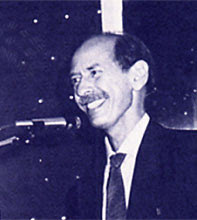 The Robert S. Liebert Memorial Fund was jointly established in 1988 by the Association of Psychoanalytic Medicine and the Columbia Psychoanalytic Center. The Lectureship is awarded in recognition of outstanding scholarship in applied psychoanalysis. It is given every year or two, at an October APM Scientific Meeting or at the Kardiner Lecture. The David M. Levy Lectureship was established in 1978 to honor Dr. Levy, an internationally recognized researcher of child development, and one of the founders of the Association and the Columbia University Center for Psychoanalytic Training and Research. Dr. Levy was a pioneer in mother-infant observation, and a leader of the Child Mental Health Movement; terms like “sibling rivalry” and “maternal overpotection” were coined as a result of his early research efforts. The lectureship is sponsored by the APM, and awarded every three years. In addition to the formal lecture, the program may include a reception, 2-3 other small seminars for members, and a seminar for candidates at the Center. In 1978 the Association for Psychoanalytic Medicine established the Abram Kardiner Lectureship on Psychoanalysis and Culture in recognition of Dr. Kardiners’ role as an internationally respected pioneer in the application of psychoanalysis to the study of culture. Dr. Kardiner was one of the founders of the APM and of the Columbia University Center for Psychoanalytic Training and Research. The Kardiner Lectureship is awarded periodically by the APM for a distinguished contribution to the applications of psychoanalytic understanding to the study of culture. The lectureship confers special recognition to other distinguished contributors in this area and will encourage further efforts of excellence on the interdisciplinary path where Dr. Kardiner dedicated so much of his professional effort. The lecturer is chosen from those who have significantly furthered knowledge knowledge in the social sciences and humanities through the application of psychoanalytic understanding or who, if not specifically applying a psychoanalytic approach, have nevertheless made outstanding contributions having special revelance to psychoanalysis. The Lecturship is sponsored by the APM in collaboration with the Columbia Psychoanalytic Center. This event (formerly the Andre B. Ballard Lectureship) is entirely financed by the APM membership’s voluntary contributions, and is held every three years. A distinguished international psychoanalytic scholar gives a formal evening lecture open to all members and the public, a seminar for candidates at the Center, and two or three seminars for APM members and faculty, over a period of several days.